Headaches, Colds and Back Ache are apparently the most common health complaints – oh and stress…but stress itself is not a health complaint, its our body’s reaction to the negative effects of stress which is a problem – and these can manifest in headaches, colds and back ache. CAN escalate into something much bigger. We seem to have a culture which expects illness with age….”what do you expect.. you’re getting on a bit”.. “can’t expect to have as much energy now you’re 40/50/60…” but there really is no need to fall into this trap. So what is kinesiology: it uses muscle response to gauge imbalance in the body – not disease, imbalance. Each muscle is connected to an organ and Chinese meridian pathway. If a muscle, when tested, is spongy or weak, then there is an imbalance in that “circuit” which can potentially lead to “disease” in the organ because energy is now flowing sufficiently clearly. Once a weak muscle is found we need to find what will help correct it and restore to health – or balance. A muscle can be weak for one or any combination of four reasons – it can be structural damage, (ligament, tendon, spinal misalignment), nutritional or chemical imbalance (either toxin overload or nutritional deficiency), emotional imbalance (clients are amazed when I show the effect of a thought on a previously strong muscle) and electrical or electromagnetic energetical imbalance (mobile phones, Bluetooth, radiation, smog, pollution etc). All of these weaknesses or imbalances can be corrected with a range of treatments, nutritional supplements, herbal remedies, cutting certain food out of diet temporarily, bach flowers, crystals, chakra healing, emotional stress release techniques…..and there is no guesswork involved. With the aid of muscle testing Kinesiologists can always be sure that the treatment they are giving is what the body wants because everyone is unique and wants different treatment. Headaches and back ache are often caused by dehydration or poor bowel movements. Being “regular” does not mean every 3 days..!! 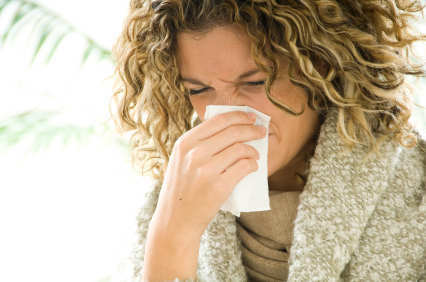 Colds and frequent infections can be an emotional response, poor immunity which can be helped with zinc, vitamin c and Echinacea. Most clients have a certain food which they would benefit from cutting out and with the muscle response we can prove that to them so they feel the difference for themselves.